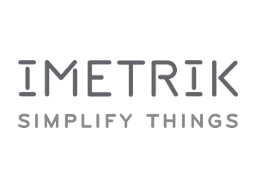 IMETRIK Global Inc. is a turnkey Telematics Services Provider and a one-stop shop M2M (Machine-to-Machine) Solutions Provider. They specialize in the automotive industry, allowing vehicles to communicate with computer systems seamlessly. IMETRIK offers end-to-end solutions by designing each link in the M2M value chain: hardware design, mobile network and secured cloud-based data platform operators, as well as Web services and application developers.